Comment: We would like to plant arborvitae trees to border our yard in lieu of fencing. Phase 1 would require 20 trees minimum. Comment: In need of grading/leveling areas of my backyard for deck and shed to be built. I do have some low areas that collect water when it rains that I would like options on how to handle as well. Comment: Had 3 large burning bushes that were cut down to stumps, and couple other smaller bushes removed. Need new shrubs/plants/trees put in. Comment: Just moved in and need backyard and front yard guidance. Michael & Sons Landscaping, Inc.
Cleveland Landscaping Companies are rated 4.72 out of 5 based on 908 reviews of 75 pros. 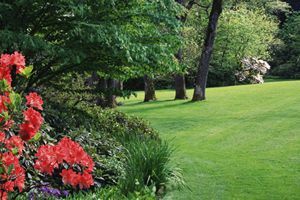 Not Looking for Landscaping Contractors in Cleveland, OH?